Groupon is a platform that facilitates the sale of coupons (known as vouchers) offered primarily by local businesses. Groupon doesn’t charge upfront fees to advertise these deals; instead, they collect 50% of each sale. To create a deal on Groupon, simply choose your deal category, determine the discount, and add offer details. Groupon customers will probably research your business before buying your deal, so be certain that your website and online reviews sites are up-to-date. 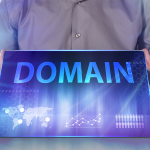 Managing these sites can be confusing and time-consuming, however. Consider hiring a professional from Hibu to do it for you; they will optimize these sites, likely increasing Groupon sales. Click here to learn more. Groupon is an online platform that manages the sale of discount vouchers (coupons) created by businesses selling products or services. The value for businesses advertising on Groupon is its captive customer base—49.3 million users worldwide. Plus, it’s easy to launch a deal; businesses navigate to Groupon’s website, fill in information about their business, input their deal discount and information, and select a launch date. Payments are issued every 30 days after a deal goes live. The discount is a key part of Groupon advertising. Groupon suggests that the discount be between 40% and 90% off the regular price, but will offer more targeted recommendations after deal information is added to the platform. However, these are only suggestions; merchants can decide their own discounts based on the cost of the product itself, cost of delivery, and other deal expenses. After a deal goes live, Groupon will manage the sale of vouchers to its members. When a member presents a voucher to a business—either in person or online—the business is obligated to provide the product/service advertised on Groupon at the stated price. Every 30 days the deal is live, Groupon will send payment for total sales, minus a 50% fee, to the business. When a business showcases an attractive Groupon deal with a competitive discount, they can expect to see an increase in traffic to their website and in many cases, foot traffic to their business location. 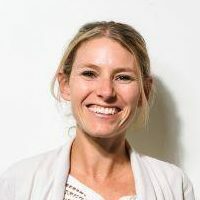 However, while it’s possible for merchants successfully turn Groupon members into loyal customers of their business, some complain that retention is hard and that customers are only shopping for a deal, making them tough to convert. While almost any business can use Groupon, it best serves those that are local, offer consumer-facing products or services that typically cost less than $100, and need to create deals for a specific product/service or time of day. Groupon advertising also serves entertainment venues that need to fill seats for performances and travel companies offering transportation discounts. Local companies – While anyone can sell products online, local companies typically depend on physical locations for sales. By using Groupon, these companies can easily attract nearby consumers who are able to redeem their vouchers in person. Companies with low-cost products – Groupon deals are successful when there is sufficient sales volume to produce profit for the advertising business. That’s only possible when they can afford to produce a large volume of lower-cost products. Service companies – Because Groupon deals can be set up with specific redemption days and times, they serve service businesses that occasionally see slower periods of business—like restaurants, activity centers, and spas. Entertainment venues – Venue managers often benefit from Groupon by easily selling discount performance tickets that haven’t sold by the day of the event. Travel companies – In order to fill up resorts, hotel rooms, and airplane seats, travel companies will frequently offer discounts tickets and reservations via Groupon. However, Groupon handles these discounts differently than the other types on this list, so we won’t get into them in this article. While many local businesses experience success advertising on Groupon, be certain that yours can handle the influx of new customers from Groupon advertising. To help manage this new traffic, consider adding fine print to your deal requiring voucher-holders to make reservations or alert you before redeeming their voucher. 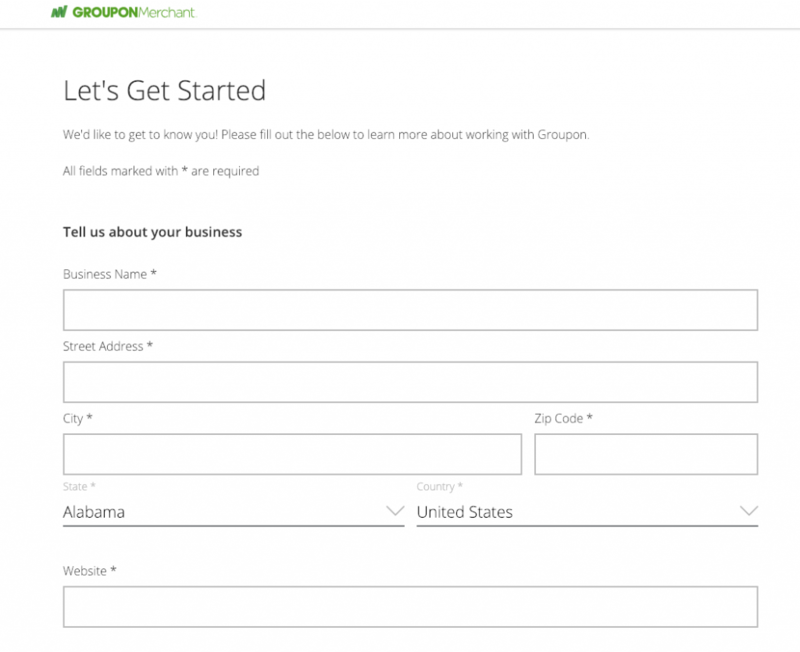 Groupon does not charge an upfront fee to create and run deals on their site. Instead, they collect 50% of the sale of each voucher. Groupon sends the amount earned through sales, minus their 50% cut, to merchants via check or electronic funds transfer (EFT) every month. In rare cases, the Groupon fee can be negotiated, but this must be done over the phone with a Groupon sales representative. While the Groupon fee may seem steep, it’s not uncommon for users to purchase a voucher and then let it expire. This means that you don’t have to pay for the service or product purchased; you merely collect the revenue, minus the Groupon fee. According to Groupon, 30% of vouchers go unused, so this is a significant advantage for businesses advertising on Groupon. To advertise your business’s product or services on Groupon, pick your deal type, add business and deal details, select your fine print, set a deal launch date, and sign the Groupon merchant agreement. Your deal will then be reviewed by Groupon’s team and, barring any changes or problems, go live on the launch date you selected. Navigate to the Groupon Merchant page. You will see a prompt at the center of the screen asking, “How can we help your business?” Below it are the solutions (or deal types) you can select—local deals, getaways, live deals, and goods and retail deals. Local deals – These are deals for local businesses and venues like spas, restaurants, entertainment centers, and activity spaces. Getaways – Getaways are for travel packages or for hotels, resorts, and flights. Live – The Live solution is for those selling tickets to live events such as festivals, concerts, and comedy shows. Goods and Retail – Good and Retail is for those wanting to sell products or services. Select the solution that’s best for your business by clicking on the appropriate icon. The following steps will help you set up local business deals, as they are the largest deal type on Groupon. However, click here for more guidance on setting up getaways, live deals, and goods and retail deals. On the following screen, you will be taken to a page with several suggestions for the type of deal you will offer, based on your business category. There are usually 10 to 15 options that you can choose from, and this will create a template for you to fill in for your deal. Select the one that best fits your deal. On the subsequent screen, enter in the product cost before discount and how much of a discount you would like to provide. Groupon gives you a recommended “green zone” for the discount percentage that will have optimal performance; this is based on data Groupon has gathered from past deals. It also tells you how much money you stand to earn from each sale based on the discount you choose. For the example of a hair salon included below, we input the typical cost for highlights and blow dry at $35. Based on historical deal data, Groupon indicates the deal will perform best with a 46% to 54% discount. If we choose a 52% discount, then the customer would pay $17 and the merchant would receive $8.50. For the next step, select a deal image. 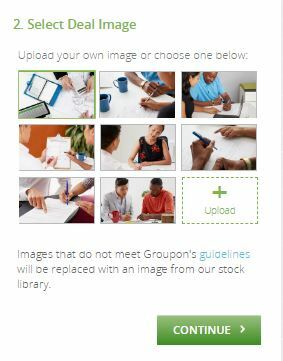 You can choose from the images that Groupon has in their database, or you can upload your own. To stand out and be sure that no one else is using the exact same image, it is best to upload your own .jpg or .png image. Groupon guidelines require using images that are horizontal, focused on your service or product, and are 700 x 420 pixels. Keep in mind that you can only select one image and Groupon doesn’t support videos. On the next screen, write a short summary about your business in fewer than 115 characters. This information will appear under the fine print details on deal pages within Groupon, and provides users with a clear sense of your business purpose and expertise. Be sure you include details about what makes you unique in your industry and why your products or services are top-of-the-line. After filling out your general business summary, Groupon will ask you to respond to four questions about your motivation for opening your business, what makes your business unique, and what you find most rewarding about your business—in 300 characters each. You are not obligated to answer these questions, but they will appear on deal pages, so it is usually beneficial to answer them. After you respond to Groupon’s business questions, you will be prompted to select the fine print details for your deal. Select the ones that make the most sense for your deal. If there is something that you need to include that is not an option provided, you will need to contact Groupon’s Merchant Support. You can reach them at 866-956-1276 or by email at merchantsupport@groupon.com to see if additional fine print can be added. Next, select the location where your deal can be redeemed. This is often a storefront, but can be any business address you choose. You can also opt to travel to customers who have purchased your deal. To set the parameters for this travel-based redemption, select how far from a specific ZIP code you are willing to go to meet a customer. Now that your deal details are entered, review and electronically sign Groupon’s merchant agreement; following this step, your deal will be reviewed by Groupon’s team. Once a deal has been reviewed, Groupon will attempt to notify merchants by email within three business days if adjustments need to be made. If there are no adjustments needed, you will be notified that the deal will go live on the pre-selected date. Once you have the date set for your deal to be launched, start preparing for the possible influx of customers. Offering a Groupon deal will increase the traffic to both your website and your store; prepare for this increase by scheduling more staff to handle new customers and showing your employees how to redeem the Groupon deal. Also, be sure your entire team knows about any fine print to keep in mind before they can redeem a voucher. For more guidance on redeeming a voucher, click here. Running a successful Groupon campaign can be difficult, but there are some basic tips that all merchants can use for maximum profit. Start by providing great customer service, then upsell whenever possible, sell extra inventory, and collect user email addresses during redemption for future marketing campaigns. The best way to get someone who found you on Groupon to do business with you again is to offer them an awesome experience. Unfortunately, some businesses treat Grouponers as second-class customers because of their discount purchases. This translates to negative reviews and a plethora of one-time customers. Don’t make that mistake; treat your Groupon customers as top-notch, loyal consumers and they will respond with more business. Once you have persuaded a customer to buy your product, it’s easier to get them to buy more. Train your employees to upsell to customers when they’re redeeming their Groupon vouchers. To make this possible, be sure you have a family of products that align with the product you are discounting on Groupon; this makes it easy to upsell during checkout. For example, a customer redeeming a voucher for a discount haircut might easily be sold on coloring or a blow-out. Every time you redeem a voucher, ask the customer to share the deal on social media. You can even offer them a future discount on products if they do so. Ultimately, new customers captured by Groupon deals are worth a lot to a small business, and a small discount for a deal endorsement from an actual customer goes a long way to growing your customer base. When a customer redeems their voucher, always ask for their email address. Let them know they won’t be spammed and explain exactly what you’ll be delivering—a periodic newsletter with details on business growth, changes in inventory, and special deals for loyal customers. With this specially curated information, you’ll turn a Groupon customer into a direct customer. For more guidance, read our article on the best email marketing practices for small businesses. Many companies have inventory that’s not selling. Instead of ditching it, considering offering these products at a heavy discount on Groupon. That way, you’re ensuring you get some revenue while also introducing your brand and products to new customers. For Grouponers who already know you from previous deals, this keeps your brand top-of-mind and encourages them to reach out directly about other products in your inventory. Groupon is a platform that manages the sale of vouchers, commonly called coupons, offered by third-party businesses. It works best for local businesses such as spas, restaurants, activity centers, and event venues, but also serves travel companies. By offering a Groupon deal with enticing copy and an attractive discount, companies will likely see an increase in visibility, traffic, and sales. It’s important to note, however, that potential Groupon customers will research your business before buying a voucher. 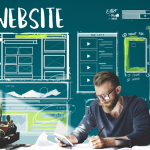 So be certain that your website and online review sites are up-to-date. If you don’t have time to manage it, consider hiring a marketing professional from Hibu. They provide comprehensive review site tracking and management for a reasonable cost. Click here to learn more. We have had a groupon on a non stop ad , we been happy with groupin ! But the lady who is our go to she is never returning our call, emAils and request to uodatenour ad! We want a new rep. One who is in touch! Please can someone contact us asap! Unfortunately, we can’t help you out as we have no ties to Groupon. Great article! I just spoke to Groupon in order to sell a service, as their website hasn’t been loading properly to set up an account . First, I have to say the sales specialist was very rude. I am a new business and I do not have a facebook page and my website is not up and running yet. She said because I don’t have either of these that I could not run a groupon. Lastly, she told me that they determine the amount of discount to be offered. I would have no control. I understand that they need to make money but I cannot operate in the red. Very disappointed. Thanks for sharing your experience with Groupon, and I’m sorry to hear you had a tough time with their support team! This was an excellent read and filled with valueable information. We just launched our Groupon ad, and a lot of what was in the ad happened to us during the process. We will see how it all works out. Can my product be advertised all over instead of just locally? Yes, it can! There are plenty of online stores that offer Groupons, it’s not just for local businesses. I’m trying out the retail part of groupon for the Holiday season, hope it works out well! Good luck with everything, let us know how it goes!